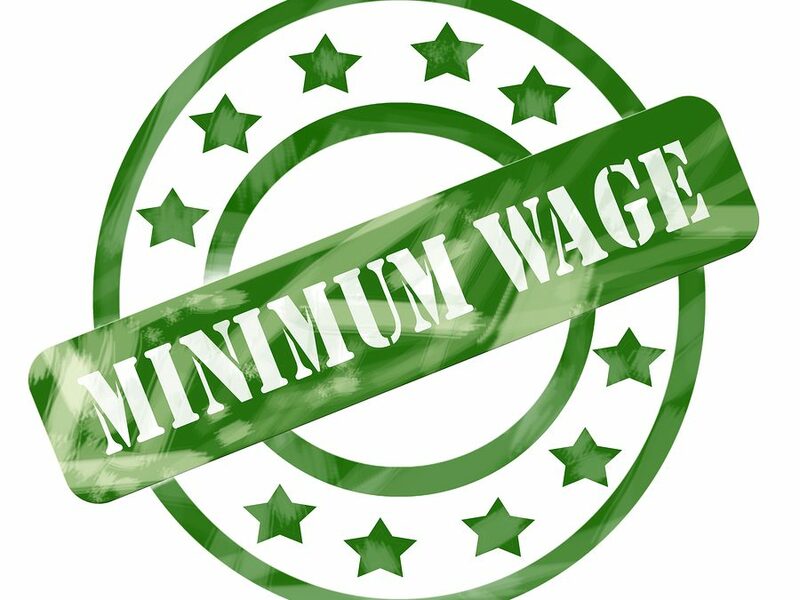 We are in your corner when it comes to minimum wage issues. So, it’s our job to keep our members informed of the updates as we continue to promote and protect the restaurant industry in New Mexico. As always, you can keep informed of the status of those by viewing our latest legislative tracker. You did it! You saved tips in New Mexico! On April 1, Gov. Lujan-Grisham signed the minimum wage increase bill leaving the tip credit in place. The final language of the bill includes the tip credit we all worked so hard to protect these past few months. Restaurants will see the tipped wage increase from $2.13 to $2.35 as of January 1, 2020, $2.55 in 2021, $2.80 in 2022 and $3.00 in 2023. The compromise also eliminates future raises based on CPI. This shows the true power we can wield when our industry, puts differences aside and comes together to protect New Mexico restaurants. New Mexico’s minimum wage will increase to $12 an hour by 2023 – and to $9 an hour next year – under legislation signed into law on April 1, by Gov. Michelle Lujan Grisham. Summary history of HB 31. View full bill here. 3/14 – Conference Committee merged HB 31 & SB 437 and advance a hybrid Minimum Wage increase. Tipped wage goes to $2.35 on Jan. 1, 2020. Summary history of SB 437. View full bill here. 3/8 – NM Senate Passed SB 437 in a floor vote. Will be Heard by HLVMA Committee next on 3/12/19. 3/5 – NM Senate Corporations Committee passes SB 437 which will head to a Senate floor vote next. 2/25 – Bill passed out of SPAC, will announce the next committee when scheduled. Other bills will be updated here as prudent. Get the latest tracker here for a full list of legislation that will affect you. The most important aspect of tipping, is that servers support the tipping system. Learn more here. Here’s a summary of just some of our efforts so far, including some action items on what you can do next. Hired a legislative specialist to focus on the tip credit and minimum wage issue specifically. Our Government Affairs Director continues to lobby and track this cause and others from Santa Fe. Filmed server testimonials at Santa Fe Restaurants. It was vital for us to get their point of view heard. View the video on our homepage here. Posting daily and monitoring the conversation on our server centered Facebook page, Serving New Mexico. Join in the conversation! Launched a text campaign to allow the general public and all advocates to stay informed on these issues and speak up on the livelihood of their favorite servers. Join up by texting TIPS to: 52886. Developed two-click process for advocates to send letters to their legislators here. Produced “Save our tips” campaign collateral to include t-shirts, buttons, bill inserts, and coasters. We have provided these at many of our advocacy meetings throughout the state. Contact us to get more information. Met with the editorial boards of the Santa Fe New Mexican and the Albuquerque Journal to discuss our opposition (especially to HB 31) and how it will affect restaurants and servers alike. Conducted a teleconference for members and advocates to call in on the status of HB 31 and SB 437. Subscribe to our legislative update and vital alerts here. Held emergency meetings in Albuquerque, Santa Fe, and Las Cruces to update members and advocates on issues.